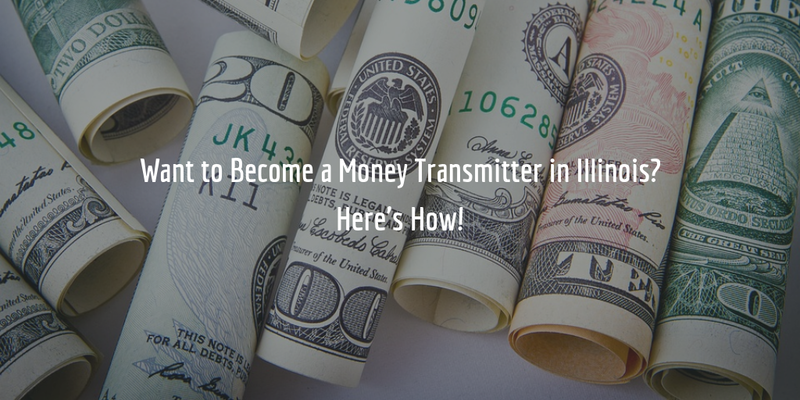 To operate as a money transmitter in the state of Illinois, you will need to apply for a license from the Illinois Department of Financial & Professional Regulation (IDFPR). During the application process, you will need to comply with a list of requirements which include, among other things, posting a money transmitter surety bond. See below for a quick and simple guide on how you can get a money transmitter license in Illinois! Anyone who wants to engage in any of the following actions is required to obtain a money transmitter license in the state. How Do I Apply For an Illinois Money Transmitter License? Even though it is the IDFPR that issues transmitter licenses in the state, the licensing process itself goes through the Nationwide Multistate Licensing System & Registry (NMLS). Before you get started with your license application, you must first register with your Secretary of State, as well as with the Financial Crimes Enforcement Network (FinCEN). Once you have completed the above, you can proceed to the NMLS. To begin the license application process, you must register in the NMLS system. After that, you can get started with the application. To apply, you need to complete several different forms in the NMLS, upload various documents to the NMLS and, finally, submit one additional form directly to the IDFPR. Have a look at the checklist provided to applicants by the NMLS or see below! Under the Transmitters of Money Act, anyone who applies for a money transmitter license must post a surety bond. The bond serves as a guarantee that the transmitter will comply with the provisions of the Act. Should a transmitter violate the Act and cause losses or damages to any person, the latter may file a claim against the bond to receive compensation. The minimum amount of the bond required by the IDFPR is $100,000 and the maximum amount is $2,000,000. Applicants who must post a bond over $1,000,000 are given the option to post a $1,000,000 and increase their net worth on a dollar-by-dollar basis up to the maximum of $2,000,000. The cost of your bond is equal to a fraction of the full amount of the bond you need to get. This fraction is determined by the surety when you request a quote. The surety reviews your personal credit score, along with other financial indicators in order to offer you a rate. The higher your credit score is, the lower your rate will be. Get a free quote on your bond, with no obligation attached, by completing our short bond form below!